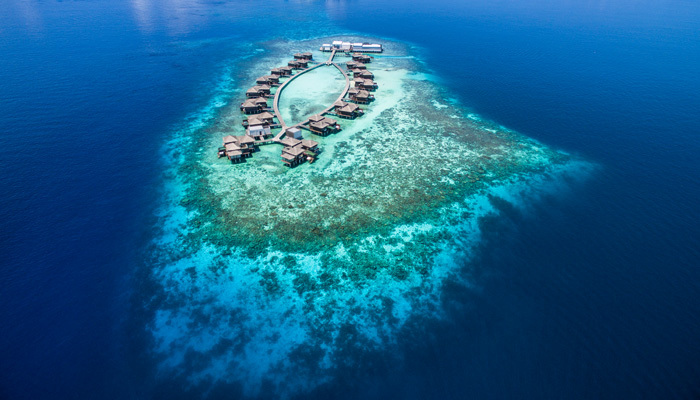 During 2018, the resort continued to operate under the temporary identity of Dhevanafushi Maldives Luxury Resort. The resort was closed on 1 June 2018 for renovation works and will reopen as Raffles Maldives Meradhoo* in 2019. 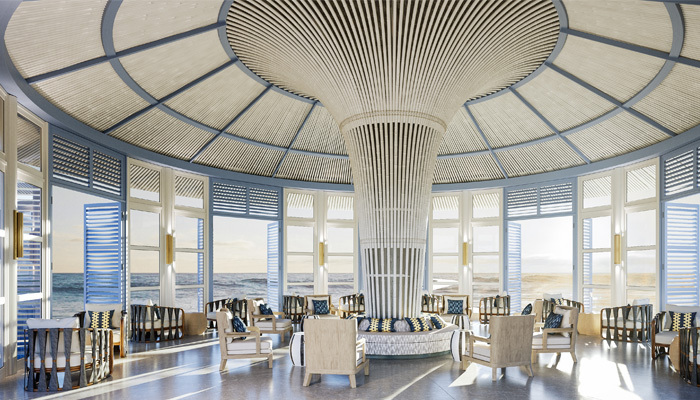 (2)Date to be mutually agreed between parties pursuant to the Hotel Management Agreement. (3)Based on the average exchange rate of US$1.00 = S$1.3482. 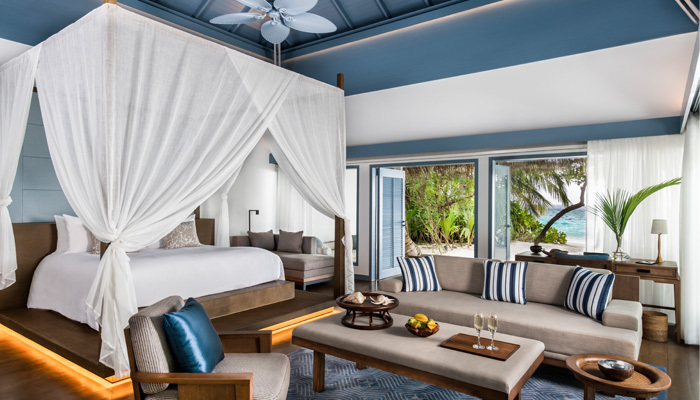 Raffles Maldives Meradhoo is located at the southern edge of the Maldives archipelago in the Gaafu Alifu Atoll, occupying the exclusive Meradhoo Island and its surrounding crystal clear lagoon. 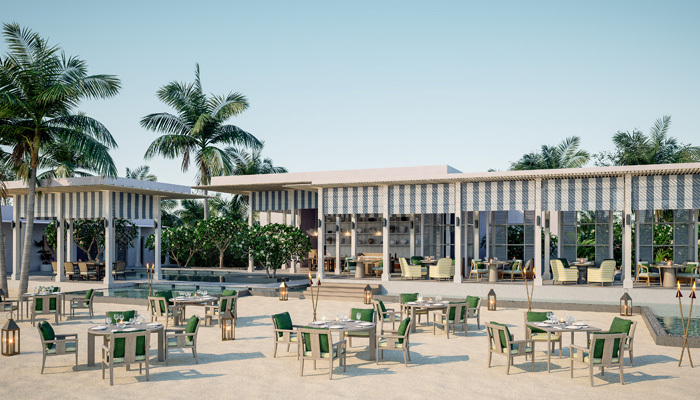 The resort is accessible via a 55-minute domestic flight from Malé International Airport to Kaadedhdhoo Airport, followed by a 15-minute speedboat journey. 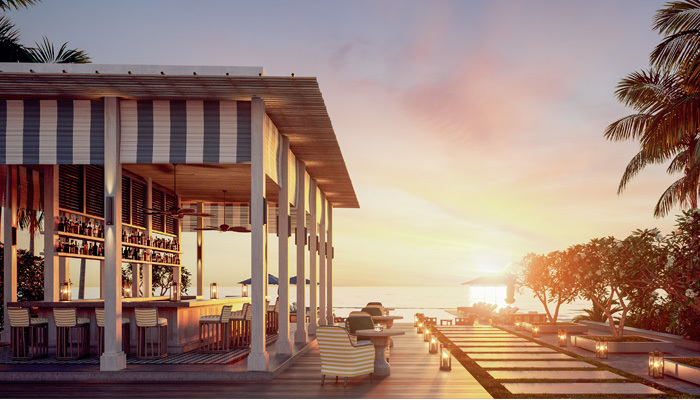 Following an extensive enhancement exercise, the resort will officially reopen in 2019 under the iconic collection of Raffles Hotels and Resorts. The 37-villa resort features 16 over-water villas and 21 beachfront villas, each with their own private pool. The resort competes at the top end of the Maldives luxury market and the extremely spacious villas are among the largest in the destination. The offering is that of an all-suite resort comprising of one and two-bedroom villas ranging from approximately 220 to 300 sq m. The luxurious beachfront villas occupy the main island of Meradhoo; with the over-water villas located some 800 metres away. 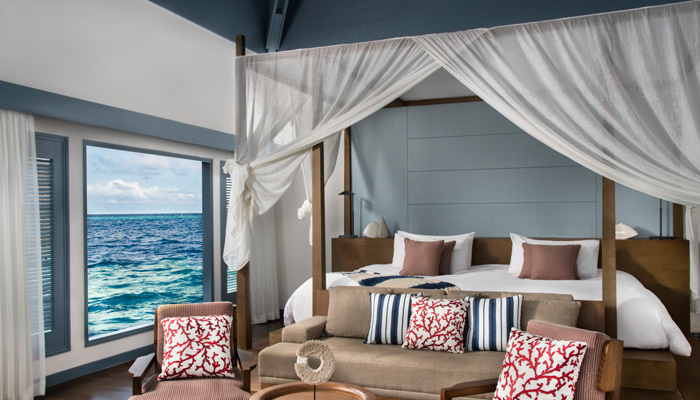 The overwater villas boast high ceilings and full-length floor-to-ceiling windows that provide panoramic views of the Indian Ocean from the bedroom, bathroom and living room. Raffles Maldives Meradhoo offers a wide range of dining options including three restaurants and two bars, comprising Thari, an all-day diner; Yuzu, a Peruvian and Japanese fusion restaurant; The Firepit, where guests can enjoy various flame-frilled chef specialty dishes; the popular Long Bar on the main island, where guests can explore a list of the worlds most prestigious champagnes and wines; and the over-water Yapa Sunset Bar, which serves inspired national drinks of South America and Japan. 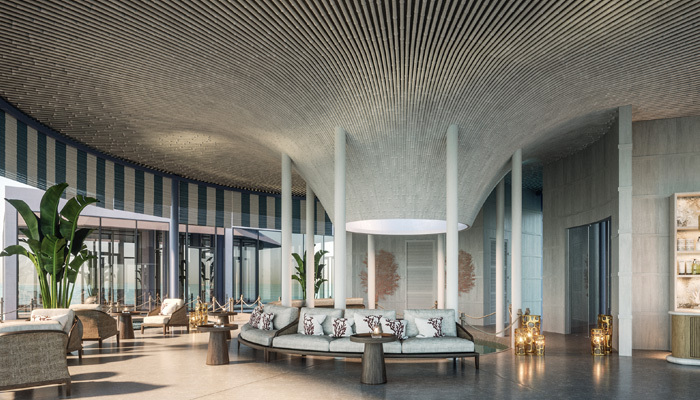 There are also leisure and spa options within the property including a spa, an over-water gym and yoga studio, two infinity edge pools, a PADI 5 Star dive and water sports centre, a library and a resort boutique.